The word “stealth” has been used to describe covert devices and equipment within special operations worldwide. 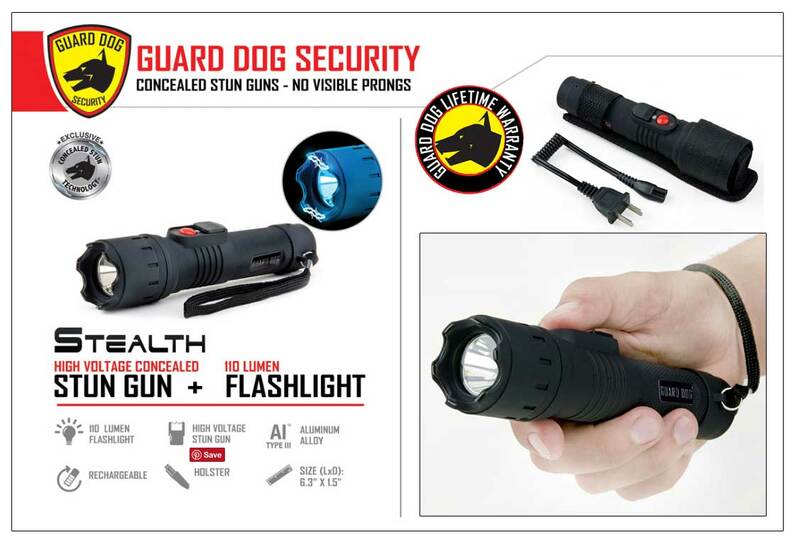 The Guard Dog Stealth embodies just that; a sleek flashlight with concealed stunning capabilities. Equipped with patented technology, the hidden probes lie within the outer layer of the flashlight, never seen unless required. 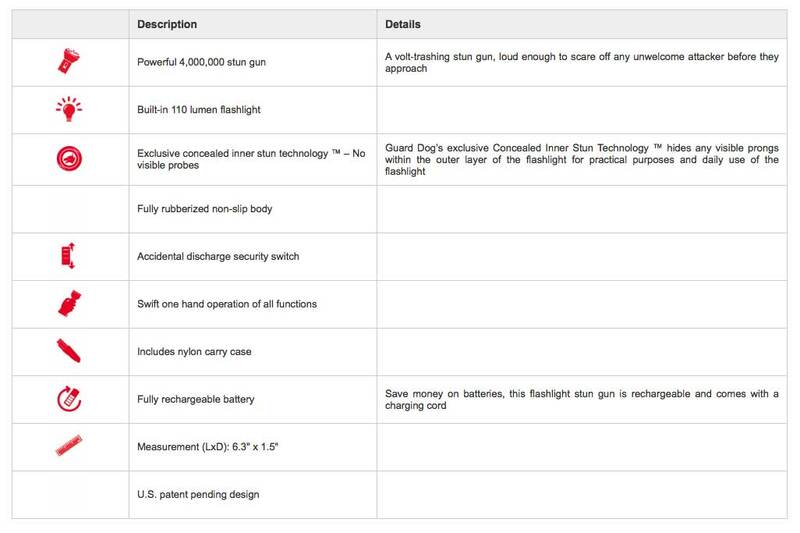 The 110 lumen flashlight serves more than efficient as an everyday practical flashlight. The beam shines dozens of yards away while acting as a blinding agent to potential assailants. With the swift movement of the safety-switch, the Stealth turns into a powerful self defense device, capable of protecting against violent crime before it happens. The Stealth is surrounded from top to bottom with an attractive rubbished armor and serves ideal for everyday use and for unexpected circumstances. Attention Dealers: Direct Wholesale Importer! You have Found The Direct Wholesale Importer On This Product! Note: Pricing, specifications and designs subject to change without notice.